BEND, OR -- Incumbent Deschutes County Commissioner Tony DeBone will hold on to his Position One seat, beating Democrat Amy Lowes by less than a 3% margin. 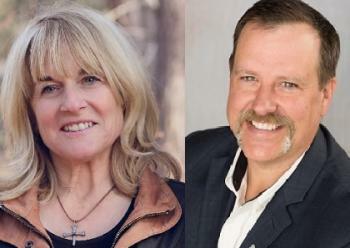 However, the fight for Position Three was a much tighter race, between Republican Patti Adair and Democrat James Cook. By late Monday, County Clerk Nancy Blankenship said Cook was ahead; barely. "At 10:00, when we put our results out, they were three votes difference." But, with more ballots counted, Adair had a 1,256-vote lead by early Tuesday morning. That's less than a 1.5% margin. "We've got ballots that came in at the end of the day that were challenged at the first level that have to go through a second level to see if they're going to be processed or challenged and giving the voter the opportunity to resolve that challenge," Blankenship tells KBND News. The election must be certified by November 26, and Blankenship says it will take that long to make sure they have every ballot collected and properly counted. Blankenship was elected to her fifth four-year term as Deschutes County Clerk in a landslide, Tuesday night. She ran unopposed.